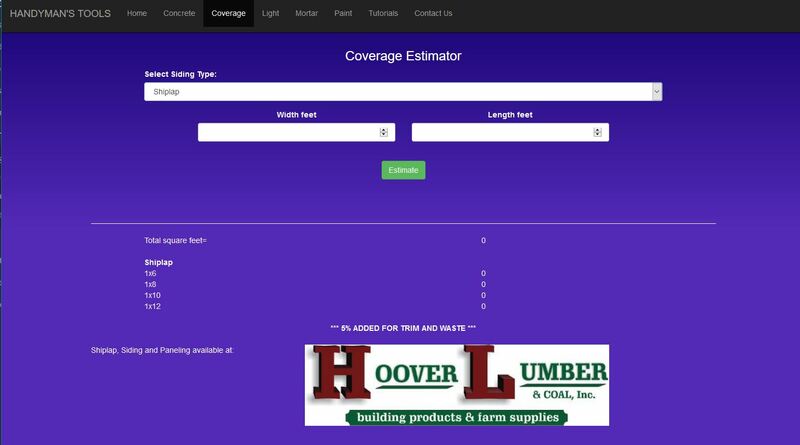 We are excited to introduce our new web and mobile application targeted for the builder, renovator, and the handyman! 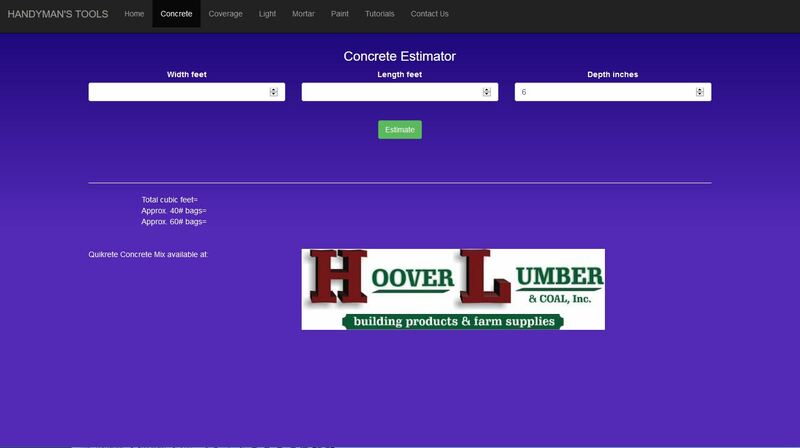 The app includes estimators for concrete, mortar, lighting and wall coverage including ship lap! 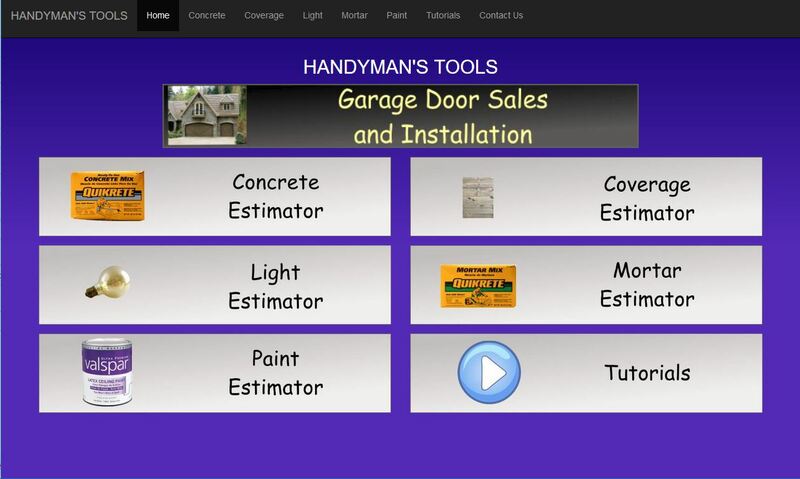 Handyman's Tools app works on both your desktop/laptop computers and your mobile devices so it can go with you where you need it most. Click on the link below to open the app and then Bookmark for quick access. 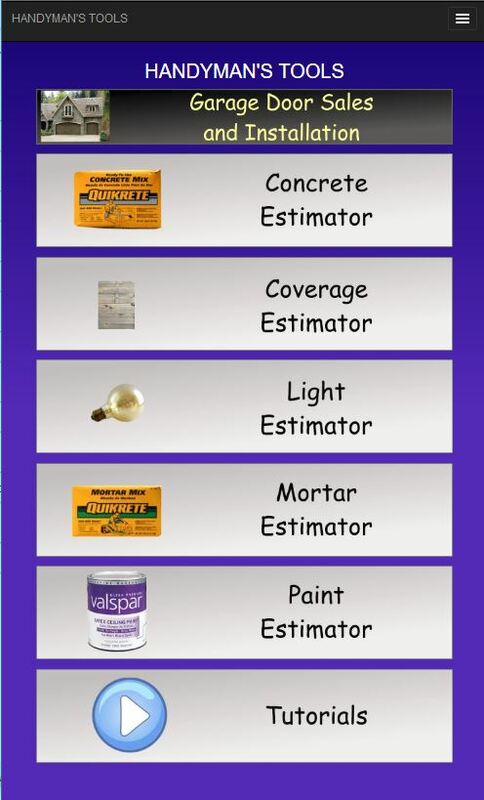 * All estimates and tutorials are for informational purposes only. Actual usage and techniques may depend on weather conditions, user experience and application. 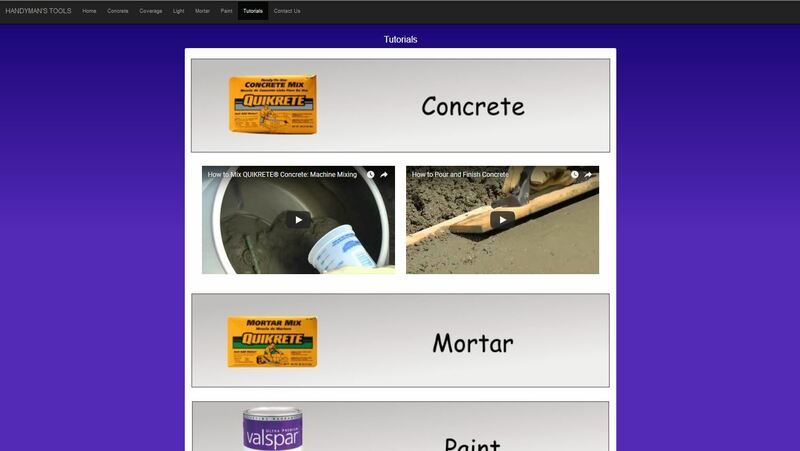 Download Handyman's Tools to your mobile device! ** Tutorial videos are only available while on the Internet.